This book discusses eight dimensions of globalization�world order, culture, the state, information technology, economics, production, development, and Bretton Woods Institutions�from the perspective of four diverse sociological paradigms: functionalist, interpretive, radical humanist, and radical structuralist. 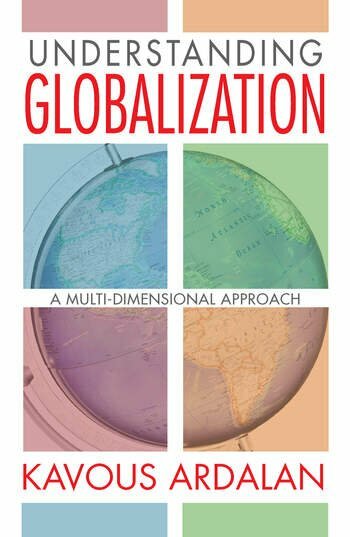 This multi-perspective approach forces readers to abandon their preconcieved assumptions and allows them the opportunity to view globalization through new eyes. Kavous Ardalan argues that social theory can usefully be conceived in terms of these four key paradigms because each one is founded upon different assumptions about the nature of social science and each one generates useful theories, concepts, and analytical tools. This method facilitates distancing from one's favored paradigm and appreciating other available approaches to better understand social phenomena. The knowledge of paradigms increases awareness of the boundaries and limitations of each individual paradigm. While most books on the topic focus on particular aspects of globalization from specific viewpoints, this fair and unbiased volume provides readers with a balanced understanding of globalization.